I’ve been playing around with old Motorola commercial gear on the amateur bands, and decided to try a cross band repeater. This setup is using 1/each of the VHF and UHF versions. For ID and repeater control, I built an ID-O-Matic IV by hamgadgets.com. The duplexer is a MFJ916B. Antenna is a TRAM-1480 @ 35′ AGL. 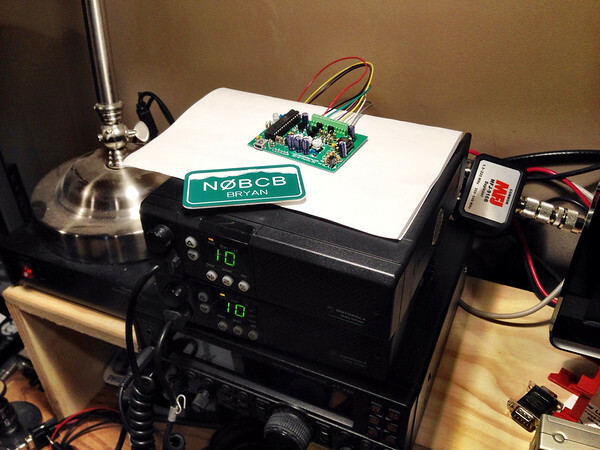 This entry was posted in N0BCB and tagged crossband, gm300, id-o-matic, IV, repeater. I’m very interested in doing this myself. How’s this project progressing? Did you need to modify either radio at all?